Snowbombing recently unveiled their dates for 2017 and announced a foray across the Atlantic with the launch of Coors Light Snowbombing Canada. Now in its 18th year and taking place from 3-8 April in Mayrhofen, Austria, Snowbombing 2017’s highlights from previous editions include The Prodigy, Jungle, Rudimental and Bastille performing in the middle of an enchanted forest, Craig David making his TS5 festival debut, Skrillex, Carl Cox, Nina Kraviz and Idris Elba playing inside the Arctic Disco igloo, Kasabian taking to the stage at sunset atop a snow-capped mountain, and performances from acts including Skepta, The Chemical Brothers, Chase & Status, Sven Väth, Jamie Jones, Fatboy Slim and many more. Snowbombing returns with a brand new look, apparently determined to give revellers the most unique festival experience yet, with a wealth of exciting new additions planned for the programme. The first wave of artists will be revealed very soon. 2017 also marks the launch of Coors Light Snowbombing Canada, the first ever edition of Snowbombing outside of Europe. Taking place at Sun Peaks Resort in British Columbia, the debut edition of Coors Light Snowbombing Canada takes place from 6-10 April 2017. 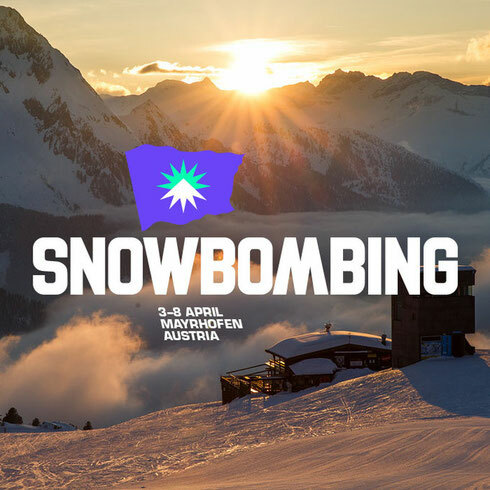 For more info, check: www.snowbombing.com.